The word Promise sprang to mind in terms of the bright colourful display on its way. Lovely. almost... you can almost picture how that will be when it springs open. I love this time of year. Just on the cusp of lots more colour! Oh a beautiful tulip, my favourite flowers. Just waiting to reveal it's beauty. 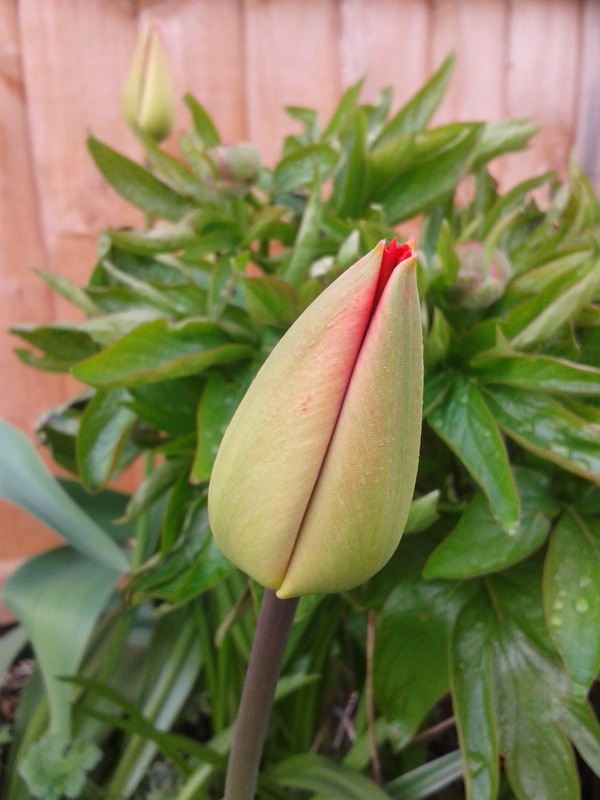 That's just ready to burst into flower, lovely. How lovely - looks like it's poking it's tongue out!